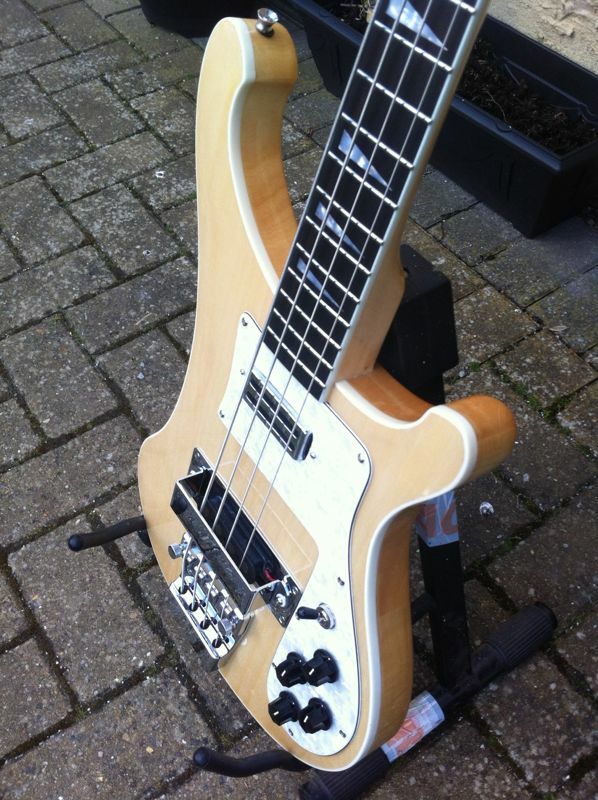 Keen eyed Rickenbacker enthusiasts will notice straight away something is wrong with this 4003 Rickenbacker bass. This is in fact a Chinese forgery purchased from the Top Guitars Company, a website registered in Thailand that will make a copy of any USA make and model guitar you care to think of. 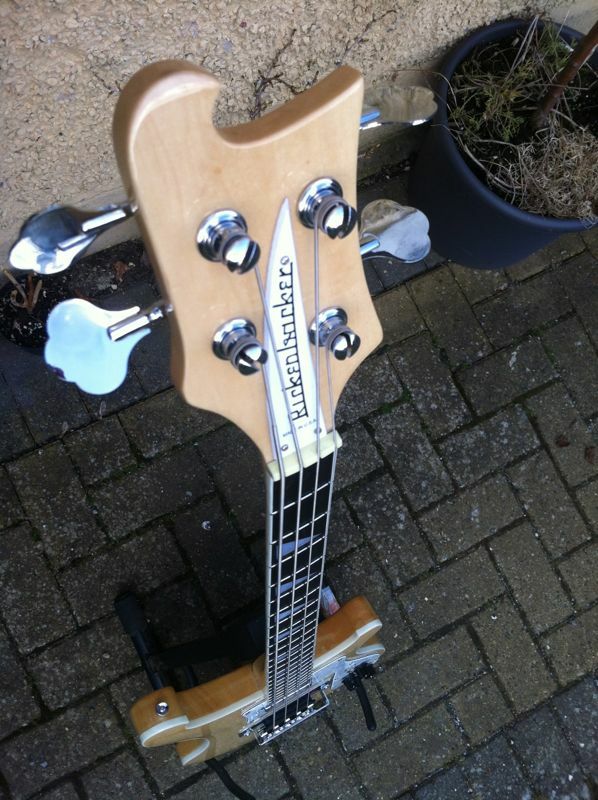 Importing fake instruments in the UK can land you in serious trouble with both the original manufacturer or border controls. More likely are the reports of people losing their money altogether – you could literally find your self paying for an ‘air’ guitar. 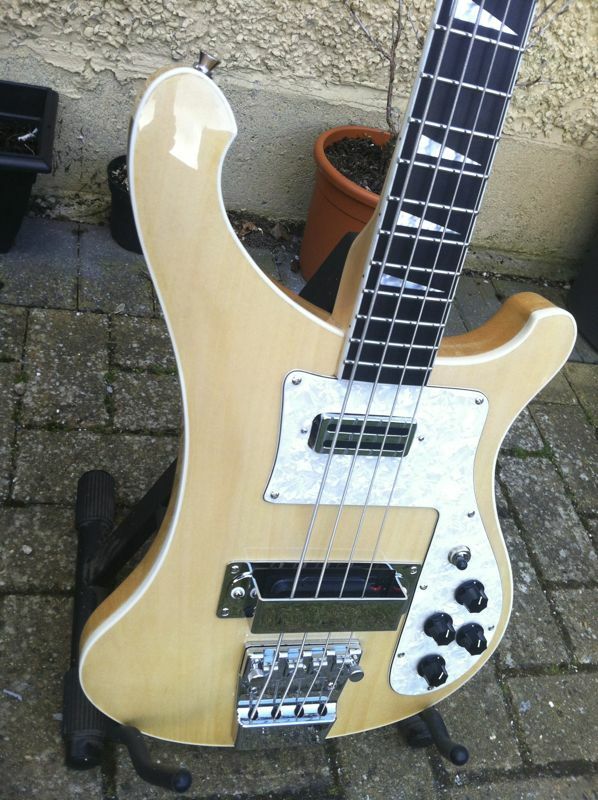 A real Rickenbacker 4003 will cost you over £2000GBP. These copies are advertised at $400USD. Quality wise (although unplayable due to an unslotted nut, hugely high action and uneven fret heights) the hardware and material construction are not bad. Chrome hardwares appear to be of a quality made by Korean manufacturers. The overall setup would suggest an unskilled Chinese workforce putting these instruments together with imported parts. Sound wise the neck pickup is a little thin compared with the bridge, which to my ear sounds very much like the real thing. ← FREE pack of acoustic guitar strings! !